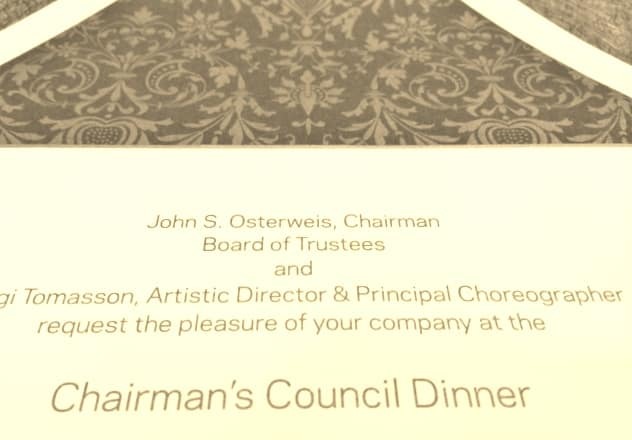 Over the last decade Hyegraph has had a great relationship with The San Francisco Ballet. 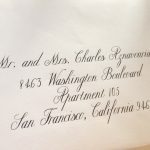 We have loved working with the SF Ballet team to address their invitation envelopes with Hyegraph Calligraphy, printed SF Ballet Invitations and were honored to help create Vanessa Zahorian & Davit Karapetyan’s Save the Dates and Wedding Invitations. Recently Davit & Vanessa, gave their final performances as principle dancers of SF Ballet! Their final performance was breathtaking. We wish Davit & Vanessa great success for their future endeavors. 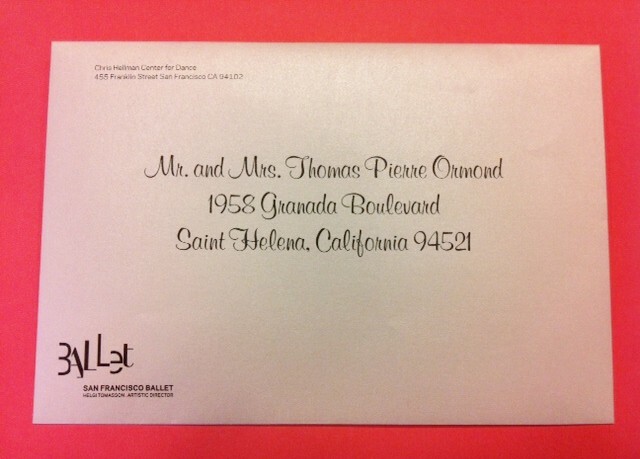 Here we share the stationery we have created for Davit & Vanessa and for the SF Ballet over the years. Above, SF Ballet Celebrating Principle Dancers, Vanessa Zahorian & Davit Karapetyan, as they take a last bow from the ballet and look to future teaching endeavors. 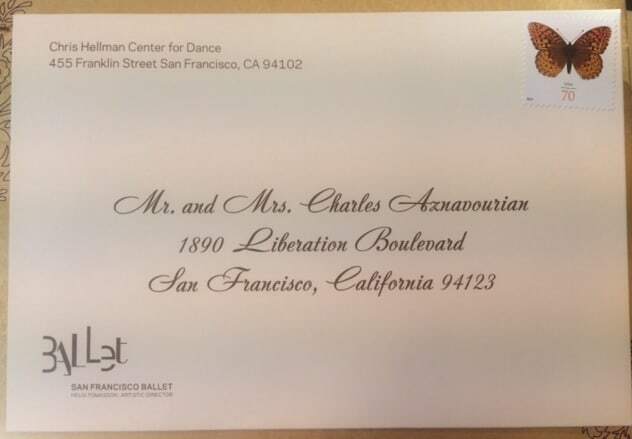 Hyegraph was honored to work with the dancers and Davit, a fellow Armenian, to create their Wedding Save the Dates. 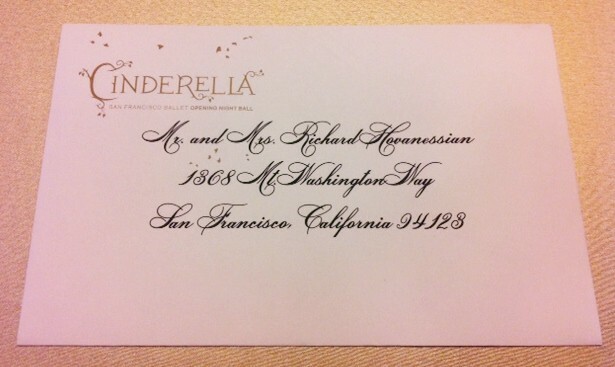 Hyegraph addressed the Cinderella Ball Opening Night Invitation Envelopes with Digital Calligraphy in April of 2013. 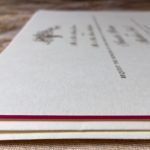 Hyegraph Addressed the Fashion Show Invitations with Hyegraph Calligraphy, Stuffed, Stamped and Mailed them for SF Ballet. 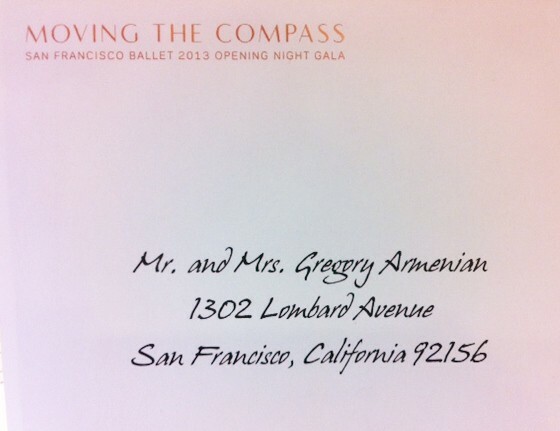 The Above Invitation Envelope Addressing is Hyegraph’s Digital Calligraphy on SF Ballet’s Moving The Compass Invitation Envelopes.